About 20 minutes before sunrise, the sky was tinted in an orange light. 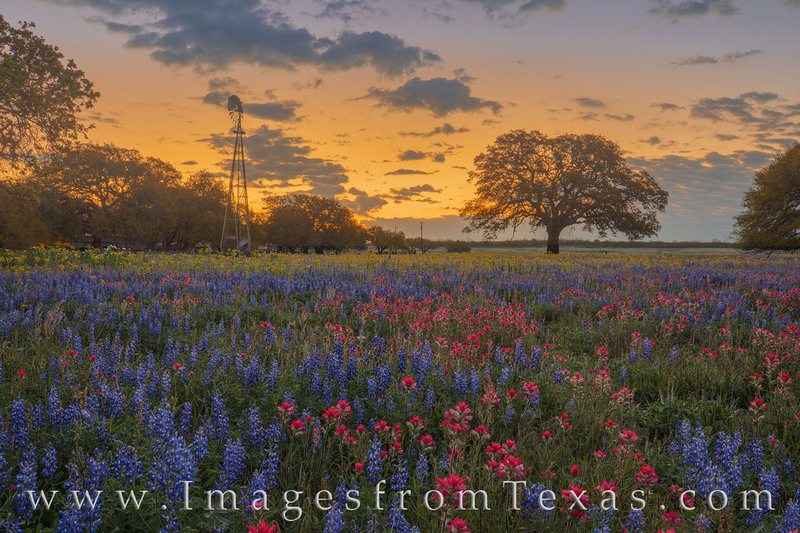 In the foreground, bluebonnets and Indian paintbrush filled a pasture with shades of beautiful color. A windmill rose from the back of the land into the cool morning air. It was a nice way to start the day. This wildflower image was shot on private land with permission from the owner. Photo © copyright by Rob Greebon.